Raintree Island Apartments offers contemporary ranch-style apartments for rent in Amherst / Tonawanda, NY. 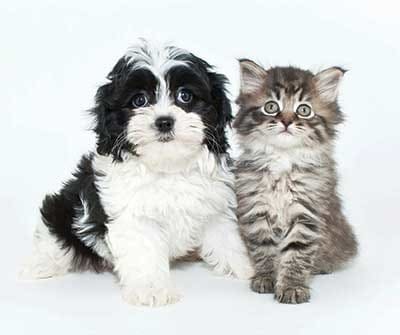 Each of our one and two bedroom-apartments for rent near Niagara Falls is pet friendly— welcoming both cats and dogs. We provide a comfortable home for you and your pet that is near recreation, veterinary clinics, and pet supply stores. The neighborhood favorite, Ellicott Island Park, is an off-leash park, minutes from Raintree Island. It was founded to serve the residents and pets of Erie County. Your neighborhood dog park features water fountains, bench seating, and refuse stations. When it comes to keeping your pets healthy, nearby Green Acres Small Animal Hospital, Boulevard Animal Hospital, and Northtowns Veterinary Emergency Services are minutes away. For supplies, visit Petco, PetSmart, or Pet Supplies Plus. Treats Unleashed is close, as well, for specialty items. Learn more about the pet friendly apartments for rent at Raintree Island Apartments in Amherst / Tonawanda, NY. Our staff is on-hand to answer your questions or schedule a tour.